Additional monitoring for the observance of the ceasefire regime in eastern Ukraine is necessary following the introduction of martial law in the conflict-hit country, Russian envoy to the Contact Group on Ukraine Boris Gryzlov stated on 4 December. The EU member states' diplomats agreed to include 9 individuals on a sanctions list over elections in Donbass, according to a source. "The ambassadors agreed on restrictive measures against nine individuals who are responsible for the so-called elections in the east of Ukraine", the source stated. The meeting by the preparatory committee of the permanent representatives of the EU countries was held earlier today, the agenda of which included “restrictive measures with regard to actions that undermine or threaten the territorial integrity, sovereignty and independence of Ukraine, new lists, decision-making". Earlier, a source in the EU stated that the expansion of the "blacklist" could be a reaction to the holding of elections in Lugansk and Donetsk. The statement comes after the Organisation for Security and Co-operation in Europe (OSCE) Secretary General Thomas Greminger noted that the recent elections in the self-proclaimed Donbass republics failed to comply with conditions outlined in the Minsk peace accords. 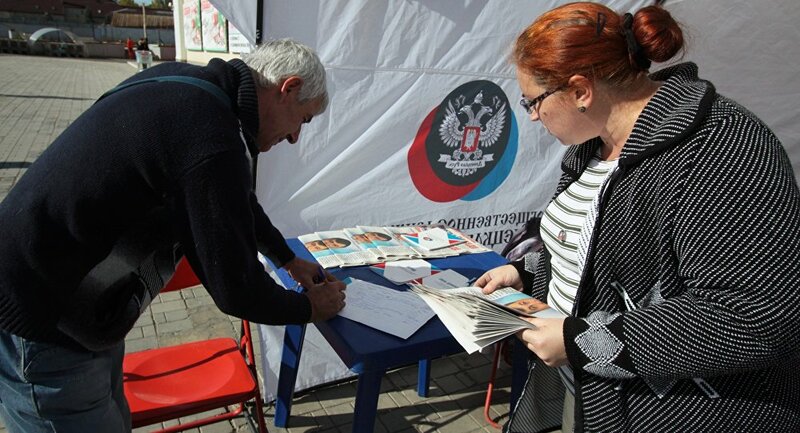 On 11 November, the self-proclaimed Donetsk People's Republic (DPR) and Luhansk People's Republic (LPR) held leaders’ and parliamentary elections. Kiev, as well as the European Union and the United States, has not recognized the elections. Meanwhile, Kremlin spokesman Dmitry Peskov has stressed that the elections in Donbass did not run counter the Minsk agreements.